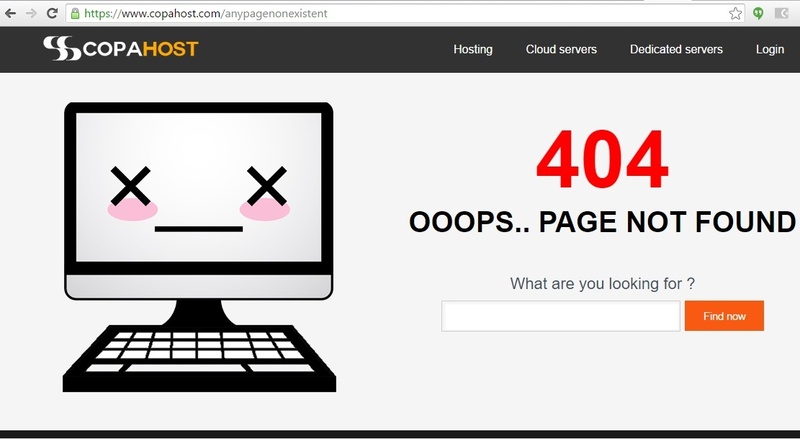 Creating a Custom 404 page is very important for SEO nowadays. First of all, for SEO purposes. Google increases the reputation of domains with their 404 error page correctly configured. The 404 error code means that one specific file on the server was not found. This is a part of the HTTP protocol structure defined in RFC7231. To have a custom 404 page for this error, we should edit our .htacess file, which is located under the root folder (usually inside the public_html folder for cPanel servers). If you can’t find the .htacess file, you can simply create it. ErrorDocument 404 "<H1>Error 404</H1> My Custom Error 404 message goes here"
You can create a specific custom 404 page to handle this error. In this example, we will create a file called 404.html , and place it in our root folder (usually public_html). 401 – Unauthorized – When your visitor tries to access a password protected folder, without a valid login. 403 – Forbidden – When your visitor tries to access a URL without a valid file or folder permissions. 500 – Internal Server Error – Appears when having problems with cgi-bin scripts or permission issues. This guide applies either for cPanel cheap web hosting servers, and for dedicated servers running apache or a similar web server. Customizing the error pages is a very important task nowadays, as Google considers this important for your website structure and SEO. You can configure an error 500 or a 404 custom page in every kind of site through the .htaccess file. Also, there are alternatives to configure a custom 404 page. For instance, by cPanel.